Today I am pleased to welcome Rachel Neumeier, author of the Griffin Mage trilogy, The Floating Islands, and The City in the Lake. I recently read her latest fantasy book, House of Shadows and enjoyed it immensely due to the beautiful writing, charming characters, and delightful magics. I’ll tell you more about why I loved it tomorrow in my review, but first I’m going to let Rachel tell you about the book and her writing process. 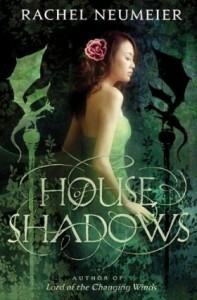 Also, she has a signed copy of House of Shadows to give away! 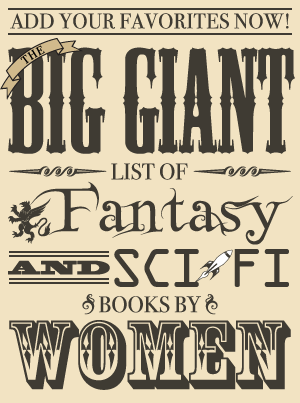 Thanks for inviting me to post on Fantasy Book Café, Kristen! It’s a pleasure to be here, and I’m delighted you enjoyed HOUSE OF SHADOWS. HOUSE OF SHADOWS is, of course, my sixth book to hit the shelves. It’s an unusual book for me, in a way. Not in having three point-of-view protagonists – all of my books so far have at least two – but in how misleading the back cover copy is. It’s amazing how difficult it is to write back cover copy that is both intriguing and accurate! In the past, I’ve literally written the back cover copy before writing the book – and I write without an outline, so this means the back cover copy was written before I had much idea about the plot! For HOUSE OF SHADOWS, the back cover copy was a team effort, since the folks at Orbit had a lot of input in the final draft – which I think is effective, even if it is misleading. The back cover strongly implies, of course, that the story is going to be about two sisters. And it is. But only one of those sisters is a point-of-view protagonist. The other is a linchpin around which the story turns, but she’s not actually a protagonist. Instead, one of the other two protagonists is the “foreign bard” mentioned on the back cover, and the other isn’t mentioned on the back cover at all. Why did I end up with a story so complicated that writing the back cover copy turned into such a challenge? Well, because I actually started this book three different times and in three different ways. Then, of course, I actually found I liked all three different beginnings and wound up braiding all three protagonists together into a single plot. I think this worked quite well, but it did lead to a complicated structure. From this, you may gather that, as a writer, I’m about as far from an “outliner” as you can get. That is so true! While I may write a brief outline, I usually don’t even do that until I’m halfway through the book – and then only if I’m stuck. This leads to some predictable issues. For example, if you suspect I sometimes I have to go back and make pretty substantial changes, you are so right. In HOUSE OF SHADOWS, I actually wrote about 40 pages leading up to the climactic scene, realized it was all wrong, deleted all those pages, and started over. The climax worked much better after I realized there was a dragon involved! Obviously I had to make lots of little changes all through the book after I figured that out. You may think this is a lot more trouble than outlining would be. You’d be right! But for me, and for other “pantsers,” it turns out that forcing an outline kills the story. I completely lose interest in writing the story if I’ve worked out too much of the plot and world beforehand. A rough idea is fine, an ending scene to end with is great, but too much detail is deadly. Just one of those things you have to keep in mind if you’re writing: you have to do it the way that works for you, even if it doesn’t seem like the sensible way to do it. I’m pretty pleased with how HOUSE OF SHADOWS turned out, even if I didn’t write it the “sensible” way! Thank you, Rachel! I enjoyed hearing about your writing process and the creation of the back cover copy, and I am happy you realized there was a dragon involved in House of Shadows as well. I was a big fan of the dragon! Rachel has a signed copy of House of Shadows to give away! Anyone can enter this giveaway regardless of country. Giveaway Rules: To be entered in the giveaway, fill out the form below OR send an email to kristen (AT) fantasybookcafe (DOT) com with the subject line “House of Shadows.” One entry per person. This giveaway is open to anyone from any country in the world and a winner will be randomly selected. The giveaway will be open until the end of the day on Saturday, September 22. The winner has 24 hours to respond once contacted via email, and if I don’t hear from them by then a new winner will be chosen (who will also have 24 hours to respond until someone gets back to me with a place to send the book to).